Check out our outreach program and help someone in need. Tired of not having Real Bread on hand when you need it? Don’t have time to make the extra trip to the specialty store that carries Real Bread? Then let us bring Real Bread to you! important health benefits of grinding their own grains to make bread for their families. 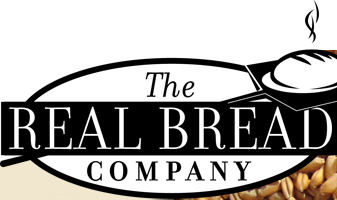 Only “real” bread, made from freshly milled whole grain, is nutritious enough to be the staff of life that God intended bread to be. Ashley McCord is the oldest of Brad and Sue’s 7 children, which includes Joshua and David Becker. In 1999 Ashley married Jamie McCord and in the next few years began discussing the dream of starting a bakery to share “real” bread with others, especially those unable to make bread for themselves. Brad and Sue shared this dream. For years starting a bakery remained a dream as the time just never seemed right for all of the parties involved. We had almost given up the idea of a “real” bread bakery. In early 2005 Sue gave the dream up completely to the Lord. She prayed that if the Lord wanted us to start a bakery, then He would provide a building with all of the equipment ready to go. Now we come to November 2005. A man approached us with the opportunity to purchase his already functioning bakery in Kennesaw, Georgia. We all agreed to go and take a look. We walked in and every piece of equipment that we could have wanted was sitting in place ready to be used. We could not believe our eyes. This was our answer to prayer! A building ready to walk into and equipment ready to be used. We knew this was it. We finished the paperwork in December 2005 and we start our new adventure in baking January 2006. We look forward to serving each and every one we come in contact with and our prayer is that you will not only taste the bread which sustains your physical body but that you will see in us the "bread" (Jesus Christ), which sustains our spiritual bodies.